Fullerton Pawners Inc address, phone, website, hours of operation, and more. 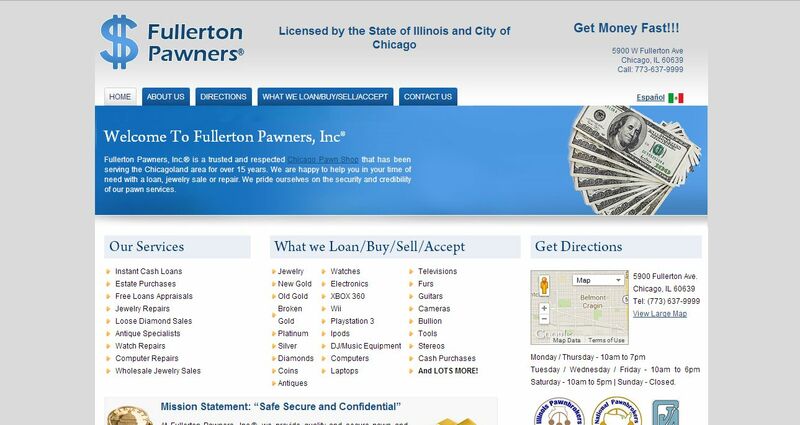 Fullerton Pawners, Inc is a quality pawnbroker that has been serving the Chicagoland area for over 15 years. With a convenient location on Fullerton Avenue, our trusted Chicago pawn shop has a variety of services, including loans and repairs. We are also a respected member of the National Pawnbrokers Association (NPA) and the Illinois Pawnbrokers Association (IPA).